Against the heartburn, gastroesophageal reflux, tooth whitening, against the bad breath, canker sores, etc. – Use baking soda in powder form (for teeth whitening) or dissolve 1 teaspoon of baking soda in a glass of water (against the heartburn or during bad breath). Put some baking soda powder on your toothbrush (the toothbrush should be moist) and repeat this several times a week. 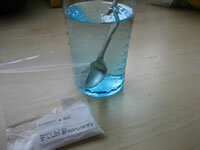 After dissolve 1 teaspoon of baking soda in a glass of water, drink the glass of water quickly. Natural remedy and cheap, useful in case of gastric acidity or heartburn, however, this preparation should not be overused for this indication because it can cause bloating and the hypertension. A risk of “rebound”, that is to say an increase in acidity may eventually also be associated with this preparation. 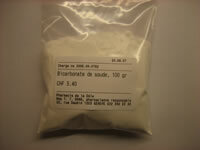 After dissolve 1 teaspoon of baking soda in a glass of water, do gargle made ​​from this mixture. THE FASTEST SUMMER REFRESHMENT YOU MUST TRY!